Dr. Aschtgen is a board certified expert in the field of naturopathic oncology who has helped thousands of patients since receiving his Doctorate of Naturopathic Medicine from Bastyr University. He opened Seattle Integrative Oncology in 2008 and has built it into the region’s premier naturopathic oncology clinic operating from three locations – Seattle, Everett, and Olympia. Today, Seattle Integrative Oncology is Providence’s exclusive regional partner in the field of naturopathic oncology. They offer the only hospital-based integrative cancer treatment program and the only naturopathic oncology residency in the state. Dr. Aschtgen is a frequent lecturer and writer on the topic of naturopathic oncology. He has spoken at events hosted by The American Cancer Society, Seattle Cancer Care Alliance (SCCA), Fred Hutchinson Cancer Research Center, the Puget Sound Oncology Nursing Society, Bastyr University, Gilda’s Club and Group Health. He was a co-investigator of a study sponsored by the National Institute of Health (NIH) on outcomes of Breast Cancer patients who received integrative oncology treatments. 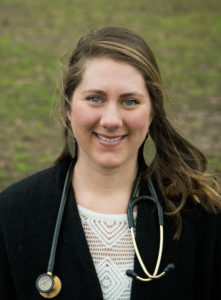 Appointed by Governor Jay Inslee and the Department of Health, Dr. Aschtgen works on shaping Washington state policies that promote the delivery of quality healthcare to state residents as the chair of the Washington State Board of Naturopathy. He is also on the Board of Examiners for the American Board of Naturopathic Oncology, and a member of several professional organizations. Dr. Aschtgen works closely with patients and their oncologists using vitamins, herbal medicines, mineral therapies, and nutrition to create custom plans that increase the efficacy of treatment, manage symptoms, and help patients reach their optimal health. Whether newly diagnosed, in active treatment, or a long-term survivor, those facing the difficulties of cancer have a great resource in Dr. Aschtgen. Dr. Joseph received her Doctorate in Naturopathic Medicine, master’s in acupuncture, and bachelor’s degree in psychology and biology from Bastyr University. She is a board certified naturopathic oncologist and a graduate of the two-year Seattle Integrative Oncology residency program. She regularly teaches classes on a variety of cancer-related topics like nutrition, supplements, managing side effects of treatment, prevention, and other issues that concern cancer patients and survivors. While Dr. Joseph specializes in all aspects of naturopathic oncology, she is also a licensed acupuncturist and uses treatments to manage side effects such as nausea, fatigue, hot flashes, and neuropathy. Dr. Joseph sees patients in both locations – Everett and Olympia – and is one of the few local practitioners to offer naturopathic oncology consultations and acupuncture treatments in the same visit. Dr. Joseph listens carefully to each patient and takes their diagnosis, treatment plans, health history, genetic history, current symptoms, and all aspects of their health into account. Then she uses vitamins, herbal supplements, medicines, acupuncture, and other therapies to craft custom treatment plans. She empowers her clients to speak up and take an active role in their healthcare, and she places a high value on their opinions and the relationships they form. 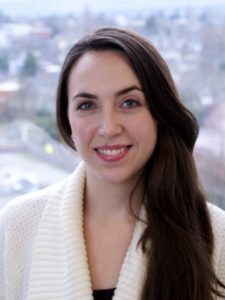 She is a peer reviewer for the Journal of Alternative and Complimentary Medicine and a member of several professional organizations including: Oncology Association of Naturopathic Physicians, the Society for Integrative Oncology, American Society of Clinical Oncology, the American Association of Naturopathic Physicians, and the Washington Association of Naturopathic Physicians. Dr. Bailey received her bachelor’s degree in Clinical Laboratory Science from the University of North Carolina at Chapel Hill and Doctorate of Naturopathic Medicine from Bastyr University. She is a graduate of the two-year Seattle Integrative Oncology residency program and is board eligible. Jenna gives talks on naturopathic care and natural health at the Providence Regional Cancer Partnership’s Survivorship Series in Everett, as well as nutrition presentations at Providence Integrative Cancer Care in Lacey/Olympia. With her background in laboratory sciences and special interest in hematological cancers, Dr. Bailey combines a strong technical understanding of disease with her desire to care for patients. She believes in providing every patient with foundational treatment to make sure they are getting proper sleep, nutrients, vitamins, and hydration, while building a therapeutic relationship to treat the whole person.